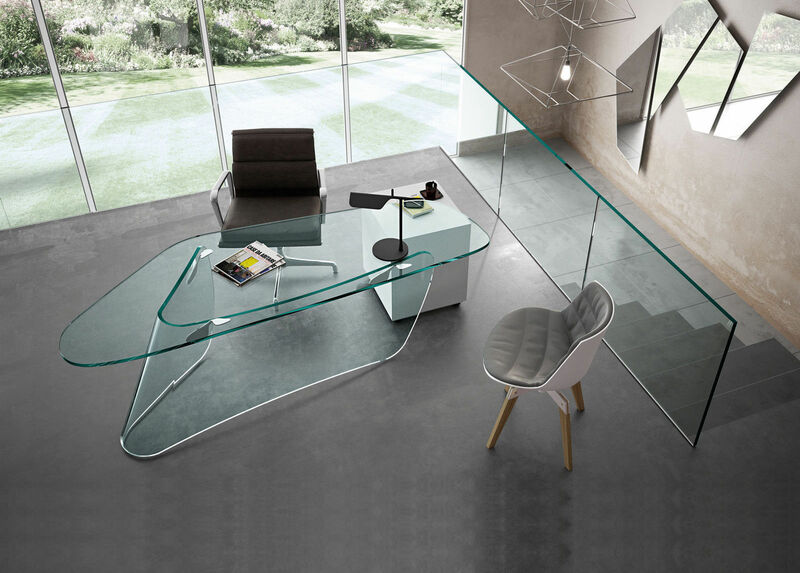 Collection of desks made from 15 mm tempered curved glass with details in polished aluminium. 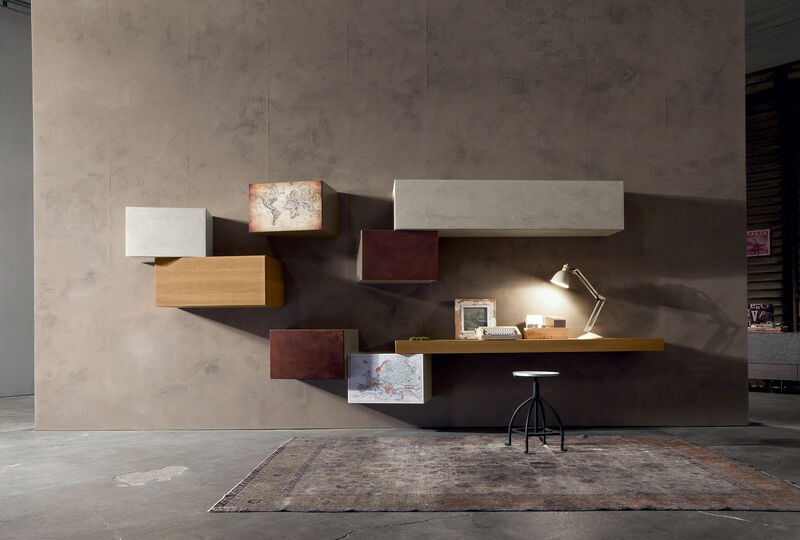 The desk can be unique element placed in the centre of the room or wall mounted, paired with black or white drawer unit or a combination of two tops of different heights creating L-shaped desk. 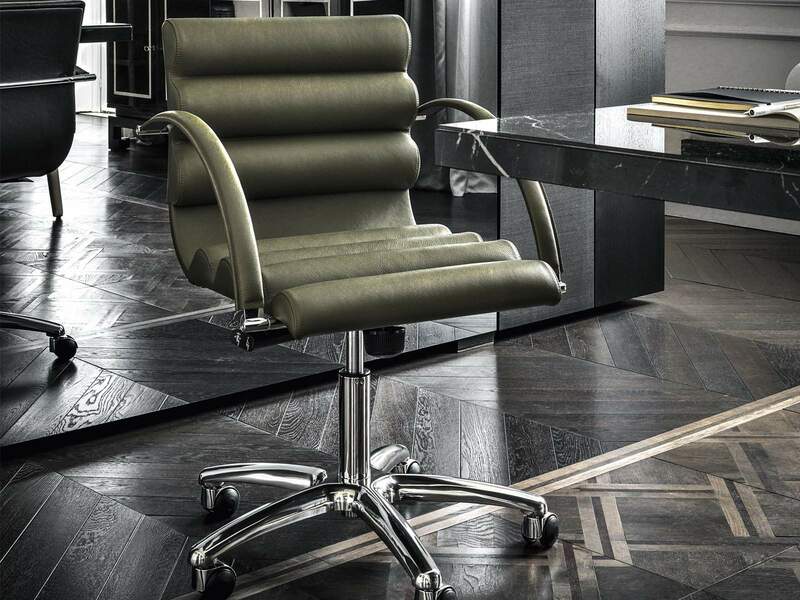 Endless number of sizes thanks to customisation possibilities. Desk height is 73 cm. Clear glass. Other glass finishes (eg. extralight glass, back-lacquered glass, acid-etched glass) subject to customisation. This product is highly customisable in all dimensions.